sometimes called the ringed snake or ‘water snake’, is a Eurasian non-venomous snake. 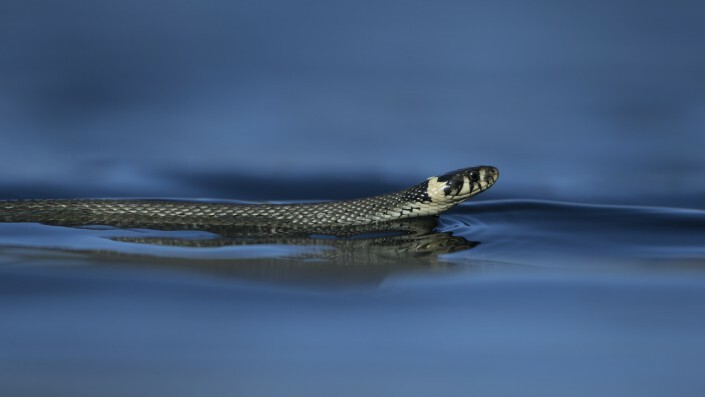 It is often found near water and feeds almost exclusively on amphibians. 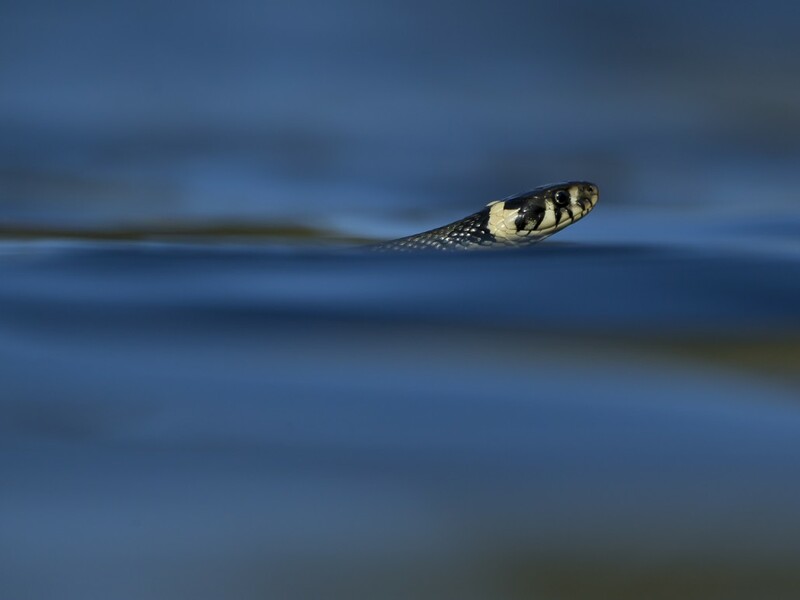 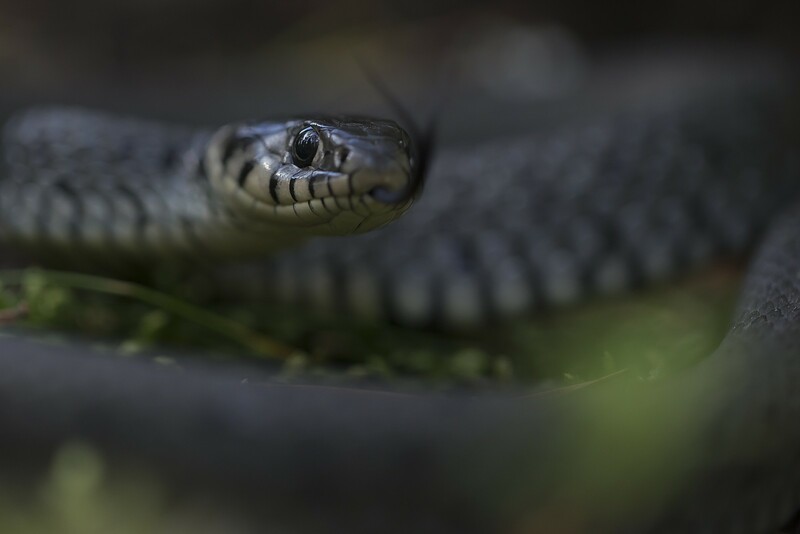 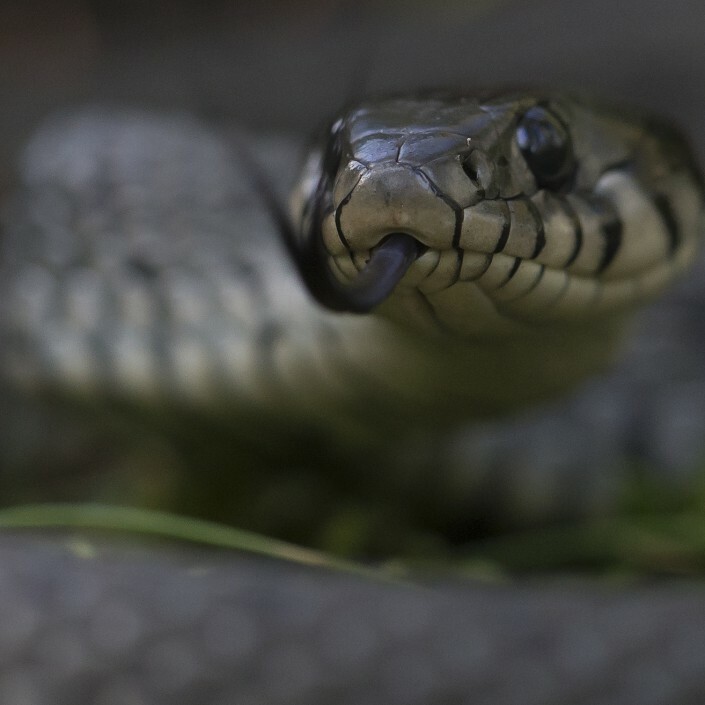 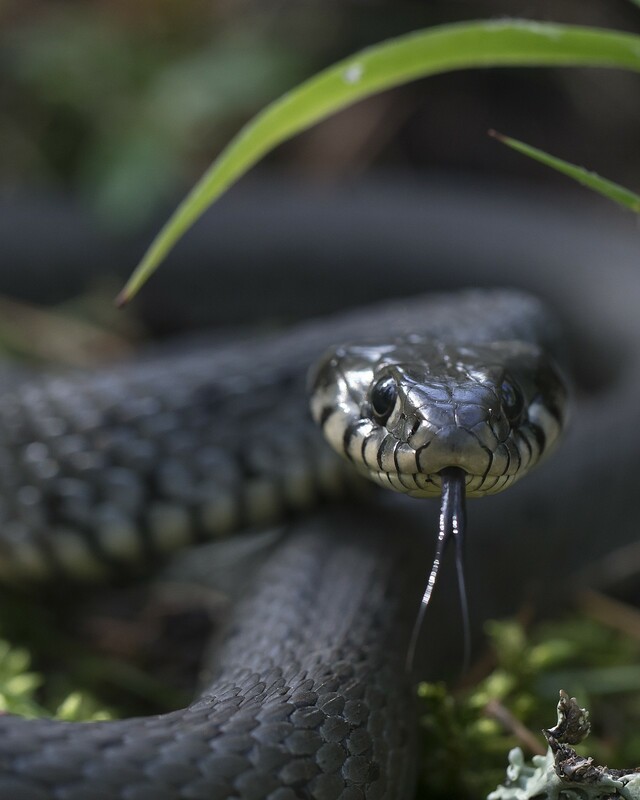 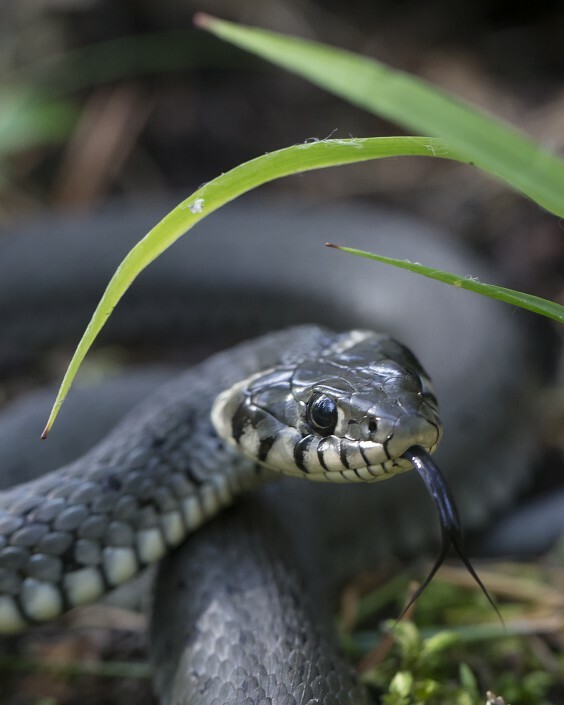 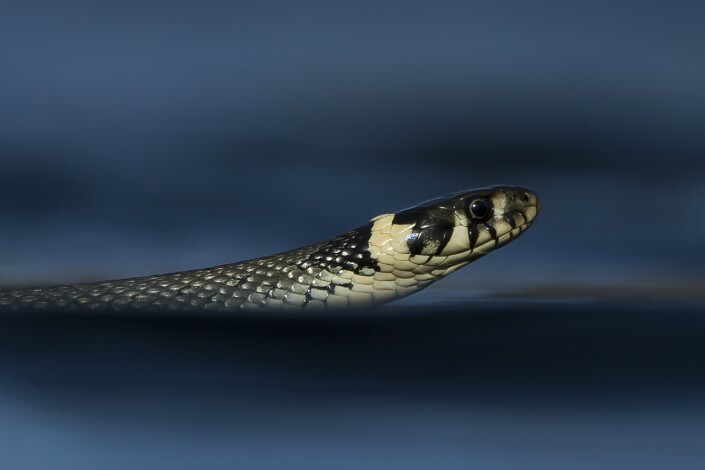 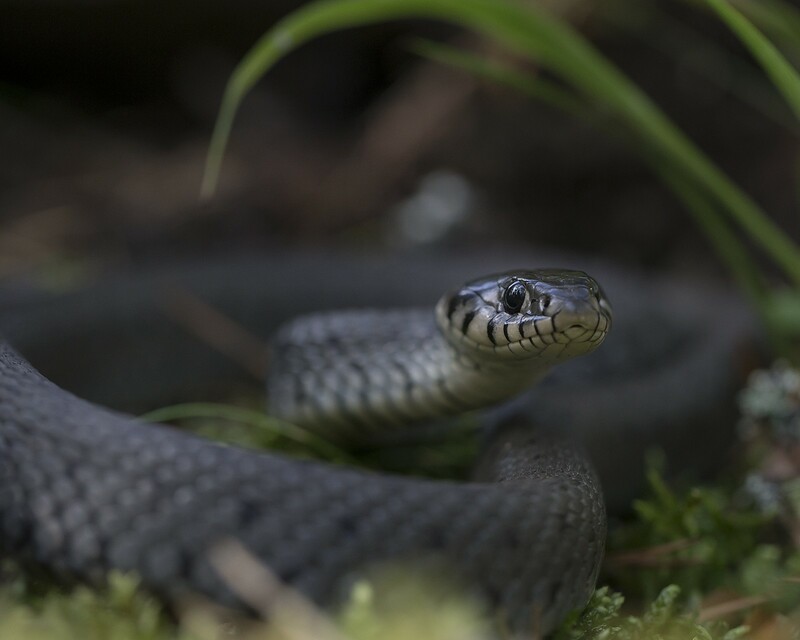 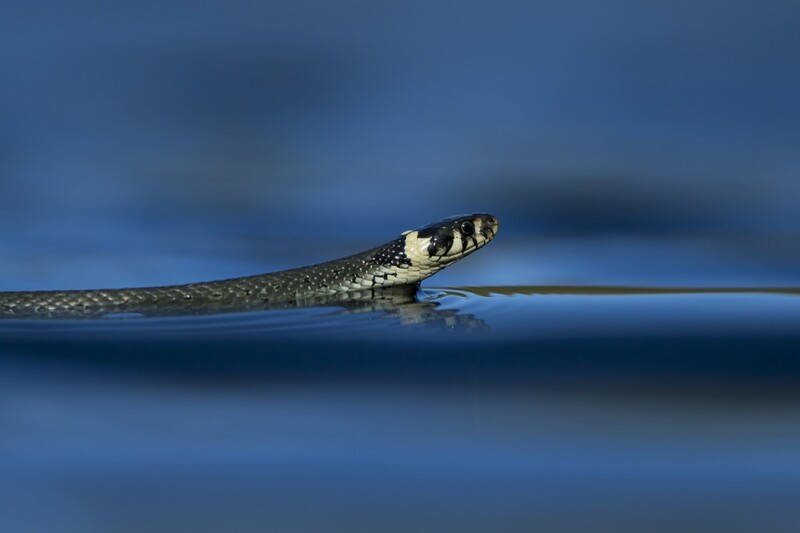 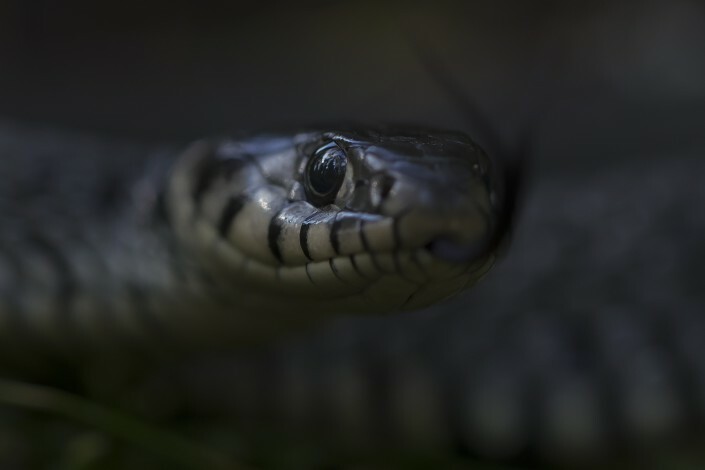 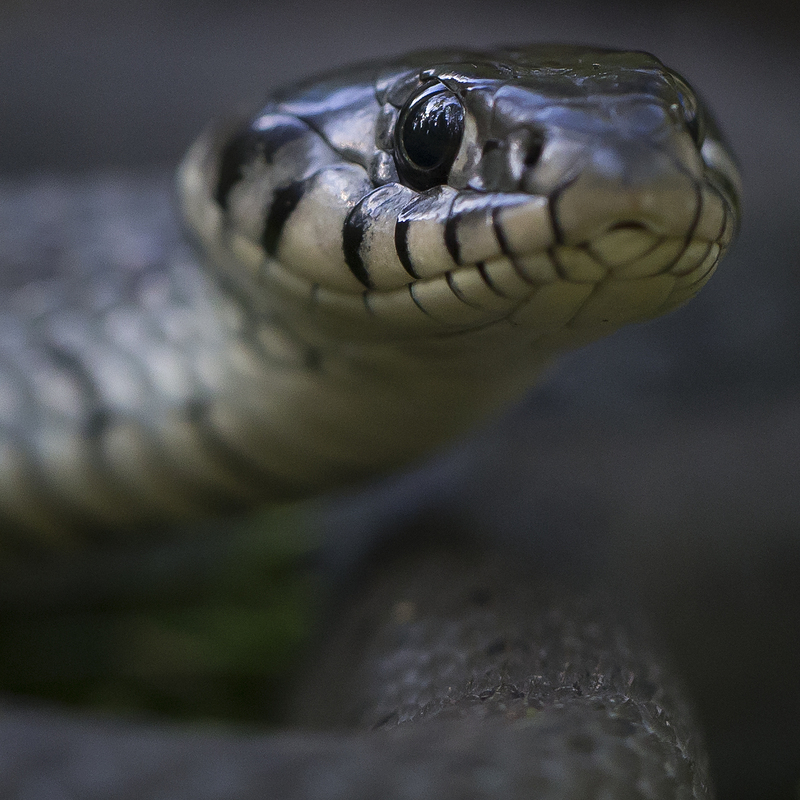 The grass snake is typically dark green or brown in colour with a characteristic yellow collar behind the head, which explains the alternative name ringed snake. 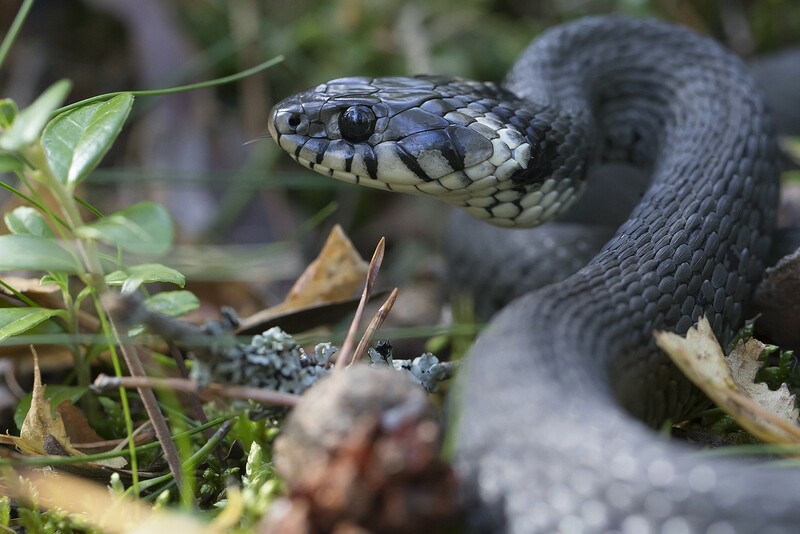 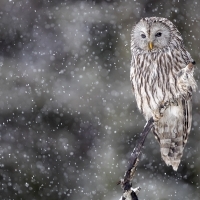 The colour may also range from grey to black, with darker colours being more prevalent in colder regions, presumably owing to the thermal benefits of being dark in colour. 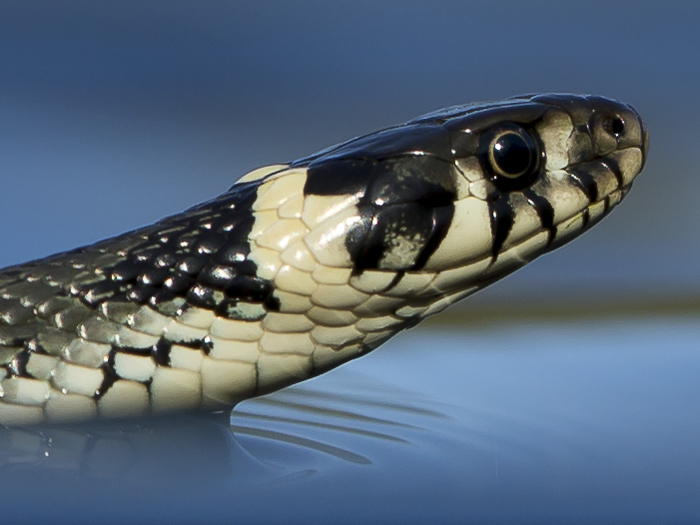 The underside is whitish with irregular blocks of black, which are useful in recognizing individuals. 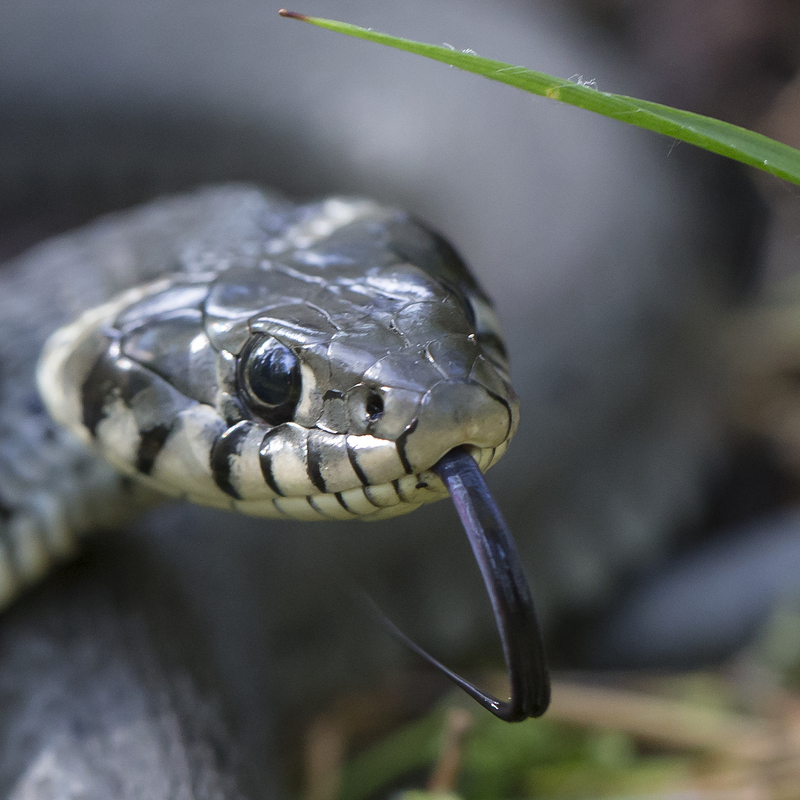 In Great Britain, the grass snake is the largest reptile, reaching up to 190 centimetres (6 ft 3 in) total length, though such large specimens are rare. 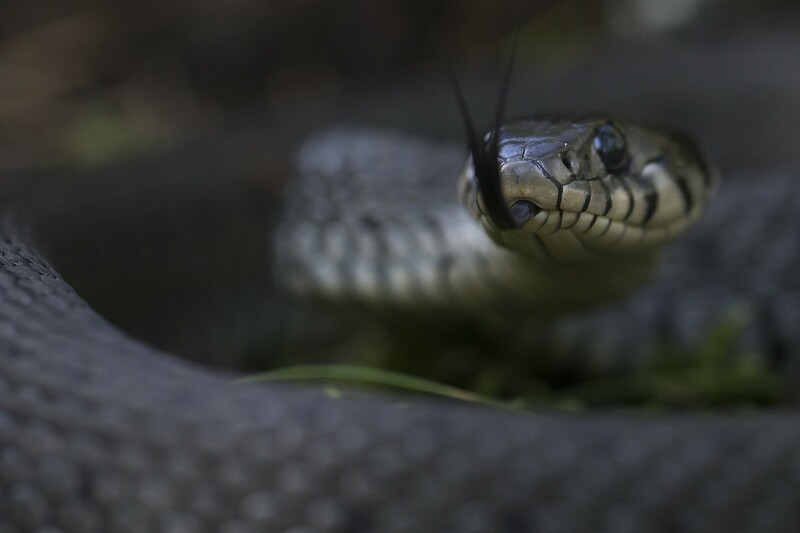 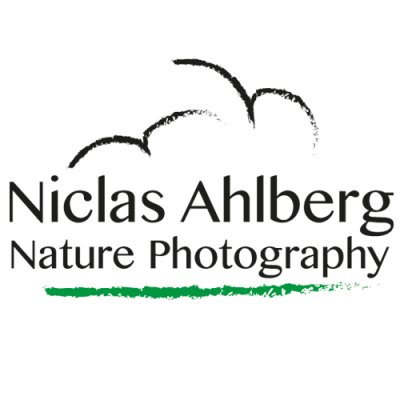 Females are considerably larger than males, typically reaching a size of 90–110 centimetres (2 ft 11 in–3 ft 7 in) when fully grown.